Niagra Falls is one of the most iconic natural wonders in the world. 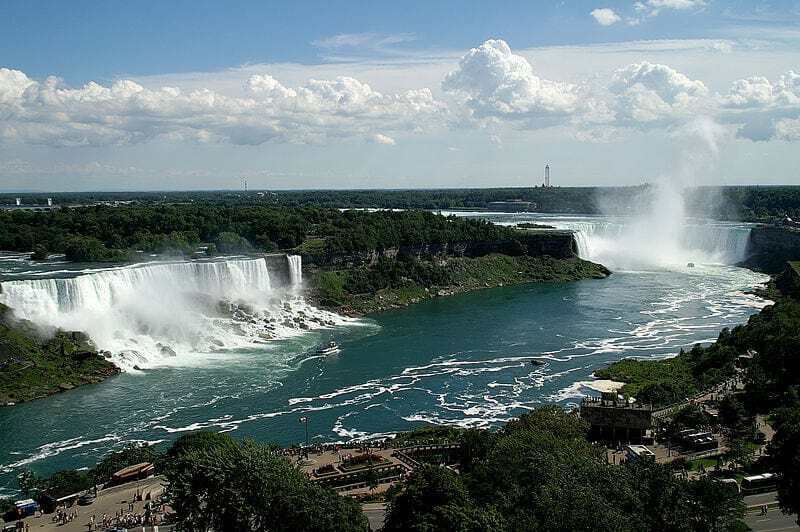 The three waterfalls straddle the border between Ontario in Canada and New York, and people travel far and wide to witness 6 million cubic feet of water fall over its crest every second. 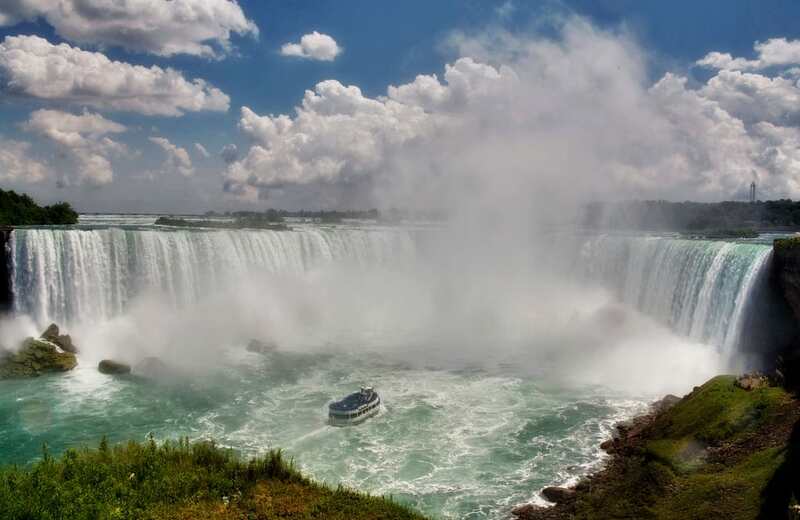 The thought of the 50-metre falls conjures up the roar of rushing water, moisture permeating the very air your breathe and tourists cowering under oversized blue ponchos as they journey into the watery channels on the Maid In The Mist. But what if there was no water for the famous boat to travel on? What if the Niagra Falls were to run dry? We may see an answer to that question if the New York State offices of parks and transportation have anything to do with it. The department have put forward plan to divert the waterfalls’ flow in order to carry out some vital repairs to two deteriorating, century-old commuter bridges connecting the town of Niagara Falls to the state park islands in the middle of the Falls themselves. The as of yet unfunded plans to ‘dewater’ the Falls have sparked excitement among the local residents, some of whom remember the only other time in history the Falls have run dry. The manmade stoppage in 1969 was put in place to prevent erosion of the rock bed underneath, pummelled by gallons of water every day. It revealed a number of artefacts and even a few corpses, one of which still remains unidentified to this day, according the The Guardian. The new plans to make the Falls go quiet once more have locals wondering what will be dredged up from the rocky bed this time. It is expected that people will come from all over the world to see Niagra Falls run dry, and walk along the famous river bed.